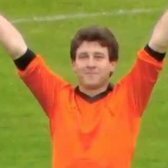 Regarding Craig Conway, had Dundee United not offered Ayr United more for the transfer than the tribunal finally ordered? Also, it's much more than a 'Three Way Promotion Battle', perhaps three clubs with a chance of the title, but at least 6 different clubs could finish in the top four. The form sides presently, last five games, in this very poor league are Partick Thistle and Falkirk. 20 points clear of 9th spot, that will do me! The form sides presently, last five games, in this very poor league are Partick Thistle and Falkirk. The form team over the last 5 games (and indeed, over the last 23 games) is County. Depends how you view it, but you are correct basing it on bare 'pointage'. Thistle and Falkirk are improving over the last five, undefeated in last four, only one defeat in these five, County have two defeats. I'd say their form is better. I think Ross County will win come May, have done so since early in the season. Obviously, I hope I'm wrong. Who's getting spit roasted in this 3-way then? 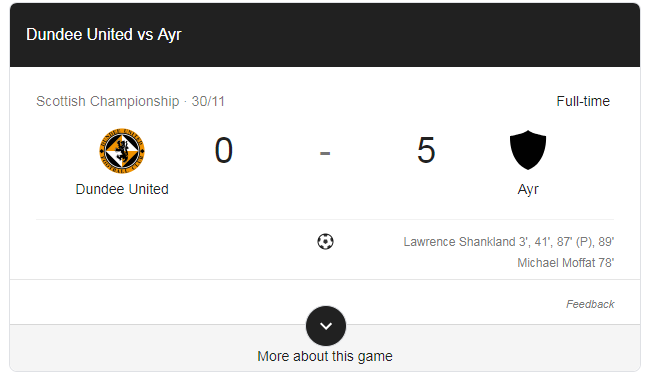 I think that's possibly the most frustrating aspect of the season for me; Ayr have outplayed us and won everytime this far. If we had even won one of the last games against them we would be much much closer. Hopefully make amends with the final tie between them. See we're away to Dundee United in the middle of April three weeks before the end of the season. Could be a tasty game with lots of importance, half expecting it to get changed for TV broadcast tbh. Almost correct. He was a hairdresser and part time footballer. Any word on his other hobbies? This thread has surpassed all expectations tbh! Dundee Utd have been spit roasted in the Ayr United/Ross County double team. They wee sluts love a good stuffing. You must have really low expectations pal. 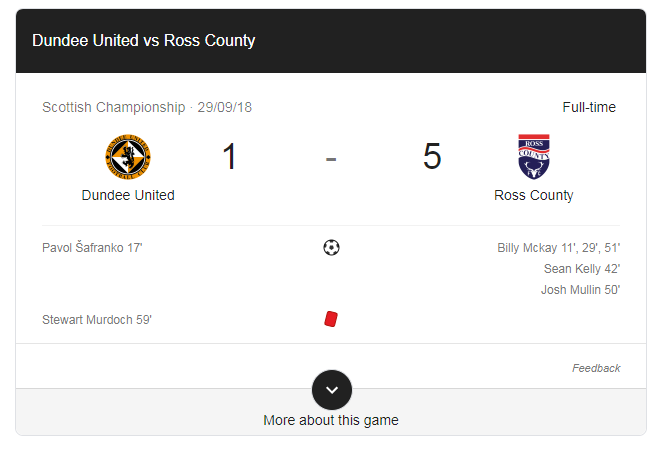 After watching Ross County last night, I think we can safely rule them out. After watching Dundee United 3 times this this season I think it’s safe to rule them out.